The groundbreaking law requires patients to be notified that a negative Lyme test doesn’t necessarily mean they don’t have Lyme disease. 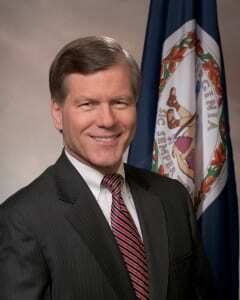 Virginia Governor Bob McDonnell today signed into a law the Lyme Disease Testing Information Disclosure Act. Under the new legislation, patients being tested for Lyme disease must be officially informed that a negative test result does not mean they don’t have Lyme disease. House Bill 1933, sponsored by Delegate Barbara Comstock and others, requires the following notification to be given to anyone being tested for Lyme disease. “ACCORDING TO THE CENTERS FOR DISEASE CONTROL AND PREVENTION, AS OF 2011 LYME DISEASE IS THE SIXTH FASTEST GROWING DISEASE IN THE UNITED STATES. Comstock worked with members of the National Capital Lyme and Tick-Borne Disease Association to garner support for the measure. On one occasion, more than 100 supporters—many of them Lyme patients who had initially tested negative for disease—filled a hearing room in the House of Delegates. On the day of the final House vote, several legislators themselves spoke movingly of a personal connection to Lyme disease. Especially poignant were remarks from Delegate James Edmunds, who said that he believes his father died from undiagnosed Lyme disease, after a negative Lyme test. The Medical Society of Virginia, which opposed the bill, had been lobbying for Governor McDonnell to veto the measure, saying that it interfered with the physician-patient relationship. « Previous Post TOUCHED BY LYME: Lyme made her "a shell of the woman I used to be"
Thank you so much for getting this Bill passed. It is people like you and the other people supporting this cause that make the difference. My husband has been sick for over four years and he was finally diagnosed a little over a year ago. This is ground breaking! congrats to all VIRGINIA members and to the CORE GROUP who wrote up the text of how they wanted their lyme bill to be!! many hours of sweat/tears went into it. dorothy, could you show a CURRENT list by states who have APPROVED BILLS and SIGNED LETTERS signed by their state GOVERNORS so we ALL can bring our lists up to date? Thank you all for your hard work !!! Now we need to wake up the rest of the states to do the same !! I’m on my second bout with Lyme and there is not one dr left in Minnesota that will treat you !! We need help !!!! Please !! Thank you to all whohelped get this passed. Please help all states to follow this example. Too many patients are left in the dark about this horrible disease. In Alabama, most doctors do not understand or recognize it . Thank you. All states need this passed. Too many patients are in the dark about the potentials of Lyme. Here in Alabama it is difficult to find a doctor who understands Lyme or even believes it is a real disease. Great start! Now just get the CDC to stop their ridiculous 3-week antibiotic treatment program guideline and maybe more people will be cured. I went unchecked for many years and was just a smidgen of a point off of a positive on my initial antibody test when I got hit hard after a “flu” (in my hmo the test a positive indicator was set at 1.20 at the time…mine was 1.19 and was and still AM very symptomatic). The test was also done after several days on antibiotics , so it possibly skewed the test. The docs were adamant and actually mean when I questioned the possibility later that the test was so close and Lyme was not considered. Not only that, they will not disclose the actual Western Blot to me that was done later. Bills like this will open physician’s minds and allow THEM not to be questioned when they step out of that box and question the CDC guidelines set for them and by insurance companies. More importantly, it might pave the way for them to treat without that positive they require from an outdated and inadequate testing system. Way to go Governor for standing up for what is right and helping to protect your citizens who are sick with Lyme or WILL fall prey to it in the future! Others have to follow suit or our country is going to come to a halt. Sick people can’t work, take care of our families, pay for our treatments. What is our country going to do when we ALL fall down? As a chronic lyme patient who has been caught in the system for over 6 years, Thanks to all who worked so hard and pevailed against the tide. The environment of ignorance, lack of tools and distrust between patient and doctor for me, have been worse than this disease itself as it has robbed my peace of mind in addition to the ability to function well. Any step to improve the environement is a HUGE step in patient total wellness. I wish more states would adopt this law. Thank you from the bottom of my heart for having the courage to sign this bill. As a former resident of Virginia, and now, North Carolina, I’ve learned the hard way about the negative ramifications of not being diagnosed in a timely manner. After visiting 18 doctors, my “Mystery Illness” was never really solved, and it was because the CDC guidelines state if you have a negative Elisa test, then you don’t proceed to the Western Blot. I don’t blame my doctors, as they were simply doing what they were taught, and were following CDC guidelines. The problem is that the guidelines are wrong. Because of that, I have had undiagnosed Tick Borne Disease for almost 3 years. Thank the good Lord that I heard a segment on Sirius/XM radio from the NYU/Langone Medical Center show, “Doctor Radio”, where a Lyme Disease expert was talking about “Seronegative Lyme Disease”. I am now on the road to recovery, thanks to him…and thanks to you, hopefully, more physicians will be able to use their clinical judgement, rather than the narrow confines of an imperfect test, to make accurate diagnoses of this devastating disease without fear of having their license to practice medicine threatened. Hallelujah! Go VA…..let’s get all states on board. ID needs help, urgently! There are several people in my area who have Lyme, and cannot find help here…….!!!!!!!!!!!!!!!!!!!!!!!!!!!!!!!!!!!!!!!!!!!!!!!!!!!! !The medical board is a joke….. Thanks to everyone who made this possible. I am getting my thank you card sent to Gov. McDonnell ! I am 100’s and 100’s of miles away and I love sending all these thank you cards to Gov. and Assembly men on the east coast who support us. Way to go!!!! This is a big win for us. I so hope other states follow. This is so great for your state and will help SOME people. More needs to be done. Congrats on this effort. This is a great start BUT even if you get diagnosed most individuals do not receive the appropriate medical care. MOST doctors are not educated enough in knowing how to treat and the Health Insurance companies dictate care- which we all know how that goes. Treating Lyme and all the coinfections and multiple systemic problems that come from this can take years to treat. So Governor PLEASE address those issues. I know what I am talking about- I am a nurse and 4 of us in the family have Lyme Disease and all things that come with it. We have spent over $100,000.00 out of pocket. I am here if you would like to meet/talk. Please act quickly- there are too many people who are disabled from this or who have died. I have called 3 infectious disease doctors (near Yorktown, VA) whose receptionists told me flat out that they do not treat Lyme. I have called a number of other doctors from VA beach to DC and can’t find one who specializes in treating Lyme and will accept any insurance! I am planning a trip to CT (where I have family) and plan to see a doctor there. It is obscene that a doctor will refuse a patient! It is also ridiculous that people are being forced by law to be insured only to find that the disease that is KILLING them will only be treated by doctor that will not accept insurance! I can not afford both! Treating my Lyme with bee venom therapy, you can mail order bees and sting at home, it’s cheap, it’s easy and effective. I am looking for doctors in the Virginia area, preferably Hampton Roads or Richmond, but at this point anywhere. I suspect my 17 year old son may have Bartonella. He tested negative on a recent antibody test for Lymes, bartonella, and a third one I can’t remember, but he is having a lot of symptoms that concern me and make me suspect this based on my research. Current doctor believes this is a bunch of hype but can not find any other cause for my son’s symptoms. It doesn’t seem like hype based on what I am learning. I would really like for him to see a doctor that is knowledgeable in this area but can not seem to locate one. Would greatly appreciate the help. 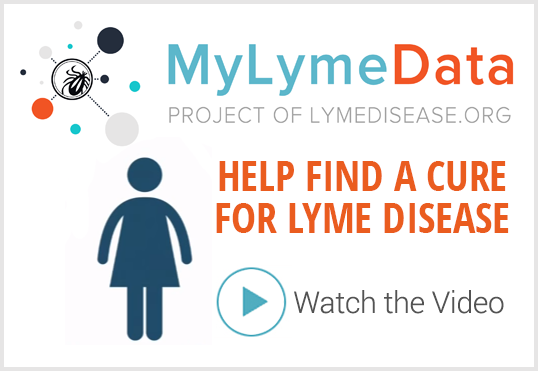 A good way to get doctor recommendations is via online Lyme support groups. Also, you can contact http://www.ilads.org for names of ILADS doctors in your area. I have had more then 7 Lyme tests in the past 10 years and have NEVER been told this! My symptom have gotten so bad I have trouble standing! I finally sent my own labs to Igenex in California. I was positive and have at least one co-infection! Can I report these doctors? One tested me this last May. My doctor did not notify me of this when I had my testing done last month. I went for testing after being told that I should have been tested and treated for Lyme according to the CDC protocol when I had a tick bite and bull’s eye rash 9 months ago. The doctor I saw for the bite and rash told me Lyme is not in Virginia and I had nothing to worry about. I’ve heard about several people with Lyme disease in my neighborhood since!! Through this article, I am learning how little the testing I had recently means. I have had symptoms of Lyme since a couple of weeks after being bitten by the tick. Where do I report my doctor for not notifying me of the inadequacies of the tests per state law? I would report to the FDA, the CDC, the Governor’s office, the medical board in VA or state where they are licensed. 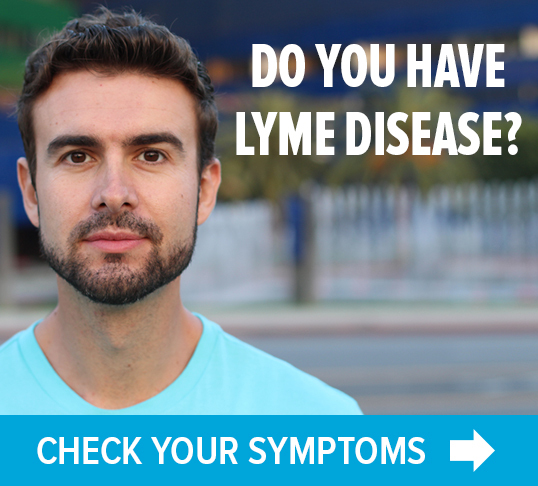 I was symptom free for years until I recently received two tick bites that overwhelmed my immune system and now I’m infected with Lyme and Babesia and Ehrlichiosis.